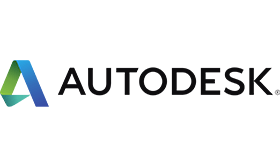 Since the introduction of AutoCAD in 1982, Autodesk has become a leader in 3D design, engineering, and entertainment software. Today, Autodesk’s product portfolio spans more than 100 products, available in 18 different languages. Autodesk employs over 2,000 software engineers, plus product and project managers who all rely on Jira to plan, collaborate, and ship great products. Autodesk first implemented Jira in 2007 for its engineering teams to plan and track software development sprints, request changes, and manage beta program feedback, and to document and discuss projects. The company also adopted Confluence to document and discuss projects with product management, designers, and localization teams. Since implementing Jira, the company has logged more than one million Jira issues. Has Jira buckled under the workload? “Not at all. Even with one million issues and several hundred concurrent users, Jira is as stable and reliable as ever,“ says Claudio Ombrella, senior manager engineering systems and infrastructure at Autodesk. The company has implemented more than 220 custom workflows, extending Jira's functionality with custom and third-party plug-ins. “The ability to create custom workflows in Jira is really important for us because not all of our teams follow the same process,” says Jones. Atlassian is central to the company's planning, communication, and execution of critical tasks in engineering and beyond. “With so many engineering teams located around the globe, it's really beneficial to have a single tool that we can rely on,” says Jones. “Jira makes it easy to centralize this information.” Rolling up to the executive level, managers also appreciate the ability to create custom dashboards and reports within Jira so they can communicate progress, up and down as well as across the organization.